Ensuring that our business is carried out with integrity, fairness, transparency, respect and a high level of customer focus. Meeting and exceeding our customers’ expectations with our skills and services. We will do what we say we will, when we say we will, for the price we promised. Continuously growing and maintaining a loyal business base by developing good working relationships with clients, staff, sub-contractors and the local community. Ensuring our employees feel valued, respected and rewarded within their roles. Ensuring a safe working practice at all times, and that Health and Safety legislation is adhered to constantly, within the workplace, on-site and whilst travelling to sites. All staff will, at all times, adhere to the rules set out by the relevant Compliance/ Registration Bodies. Working with suppliers and manufacturers of the highest standard to ensure all tools and parts used by JLN are of the best quality available. Ensuring all of our staff are trained to their highest ability, are competent within their roles, tested regularly, kept up to date with legislative changes, and given new challenges within their chosen vocation. We have no call out charge for boiler repairs or breakdowns, we will be happy to call out and provide a free quotation. What are your labour charges/costs? We have an hourly rate of £65 +VAT, this will be charged in full for up to the first hour and in ½ hr increments from then on. 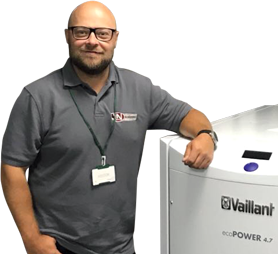 What is the cost of a new boiler combi install? This does vary from house to house and we would be happy to call out and provide a free quotation, but a standard combi swap starts from as little as £995 +VAT. All gas appliances should be serviced/safety checked at least every 12 months or sooner if advised by the manufacturer. This is especially important in gas boiler. 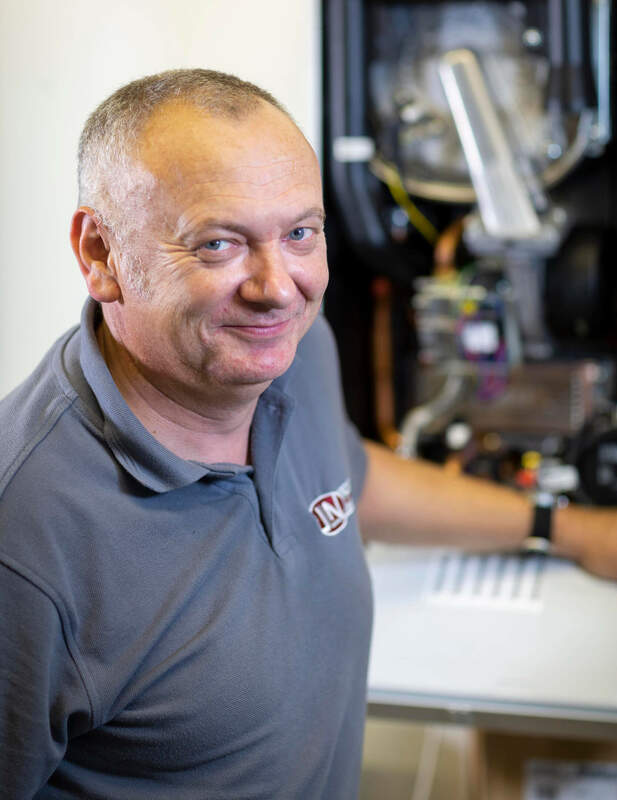 What’s the difference between a combi boiler and a regular boiler? A regular boiler produces heated water that is normally pumped around the heating system and or hot water cylinder. The path of water is determined by your user controls opening and closing motorised valves and the domestic water in the cylinder is heated indirectly by the system water passing through a coil of pipe within. A combi boiler does not use a separate cylinder to provide hot water, but heats it internally on demand, via a plate heat exchanger. There are advantages and disadvantages to both systems and we would be happy to call out and explain these in greater detail. Opentherm is a technology that allows third party controls to use a universal 2 wire communication system that supplies power and data down the same cable. This data transfer allows the thermostat or controller not only to turn the boiler on and off, but to ‘modulate’ the burner to an infinite number of settings to match the heat output to a specific temperature demand, thus improving efficiency. Weather compensation is a type of control system for central heating boilers that takes outside air temperature and sets the output of the boiler to a pre-determined level using ‘heat curves’. This means that rather than run at full rate anytime you ask for heat, your boiler will ‘modulate’ and give out the required amount of heat according to the temperature outside, saving energy and helping to reduce fuel bills. What pressure should my boiler be set to? Most sealed system boilers are designed to work at around 1.5bar. But don’t worry if yours is a little higher than this as there should be a pressure relief valve fitted somewhere on the system that will release the pressure in the event of getting too high. System filters are devices designed to capture debris and stop it passing into your boiler where it could block sensors or heat exchanges causing faults and reducing efficiency. They are usually magnetic, but can stop non-magnetic debris too by the use of cyclonic action. System filters are usually cleaned out as part of an annual boiler service. We accept, cash, cheque, bank transfer and card payments (excluding AmEx). Our engineers are able to process card payments on-site and provide you with a full receipt for any payments made. Call Emergency Gas / National Grid number 0800 111 999 immediately. Customer Satisfaction is of paramount importance to all staff at JLN and we take any complaint or issue very seriously. We have taken the following measures to ensure that Customer Satisfaction is consistently of a very high level. If an issue has been raised in relation to workmanship, we will send an engineer back to the property as soon as is possible. This means that if an issue arises that is related any works we have conducted then we will put this right free of charge. A charge will only apply if the issue is unrelated to a fault we have worked on. Hourly rates + VAT plus any materials. Minimum charge of the first hour which covers fault, diagnosis and repair if possible. Labour is then charged per half hour. Our engineers carry a wide range of fittings and parts on their vehicles, however, they are often required to collect other necessary parts and fittings to repair/ replace the fault. Payment is required on satisfactory completion of the job to the engineer on the day of completion. Our customers will be contacted via telephone or text message prior to our arrival, to indicate our estimated time of arrival. In the unlikely event there is anything you are not completely satisfied with, please contact us as soon as you can in order that we can rectify any problems as soon as possible. Either call us on 024 7667 7667, or write to us at JLN Plumbing & Heating Limited, 208 Winsford Avenue, Coventry, West Midlands, CV5 9NB or email us at info@jlnplumbing.co.uk We aim to respond within 48 hrs of receiving your complaint and where possible, will provide you with a date to remedy any issues raised. Where we are unable to resolve your complaint using our own complaints procedure, as a WHICH? Trusted Trader we use Dispute Resolution Ombudsman for dispute resolution. If you wish to do contact them in the first instance, please call WHICH? Trusted Traders on 0333 241 3209. (a) “The Company” shall mean JLN Plumbing & Heating Limited. The Company shall only be bound by estimates given in writing to the Customer & produced by a duly authorised representative of the Company. The Company shall not be bound by any estimates given orally or in which manifest errors occur. For the purposes of these terms, ‘in writing’ includes by email and any document which is set out in a hand-held device and any signature on a hand-held screen shall be treated as in writing. Written estimates sent by email must be accepted by email using the link provided with the estimate. This will log your IP address and will be treated as a digital signature for the purposes of acceptance. The company may refuse any work at their discretion. The company are also not bound to provide any estimates, if they do not wish to carry out the subsequent works based on any grounds. The company charges a minimum 1-hour labour fee, regardless of work carried out or time spent on site. If, for any reason, the company are unable to carry out works during the allocated time on-site, the minimum 1-hour charge will still be applicable, plus the cost of any parts and materials and any additional labour time over that first hour. Should parts be required to carry out works, where the engineer doesn’t have stock items on his van, the Engineer will collect from a local merchant, and incorporate this time into the final labour costs. All charges are subject to the appropriate VAT rates. Where the date and/or time for works to be carried out is agreed by the company with the customer, then the company shall use its best endeavors to ensure that the operative shall attend on the date and at the agreed time. However, the company accepts no liability in respect of the non-attendance or late attendance on site of the operative/ engineer or for the late or non-delivery of materials. All invoices are due for payment immediately upon completion of works. Account customers are by prior arrangement only and full payment is due by the agreed terms and no later. If a job is complete, but there is snagging of any kind, the customer shall still pay 90% of the total invoice amount upon completion of the works. The customer should then allow the company sufficient and fair access to correct any snagging, the customer shall then pay the remaining 10% immediately upon completion. Deposits may be required on larger jobs, or jobs that require special order or non-returnable items. The company will not supply any guarantees, extended warranties or certificates, or any other documentation, unless the balance of the invoice has been satisfied completely. Materials supplied by the customer to be installed by the company, but found to be incorrect/ unsuitable or faulty, and consequently not installed, will still be subject to a minimum charge to cover the engineers time. Any estimate supplied by the company may be withdrawn by the company at any time. If an estimate is not accepted by the customer within 30 days of issue, it will be assumed that the customer has rejected it. · If the customer adds to works to be carried out, after the estimate has been supplied/ accepted. · If the supplier increases the price of materials or parts, after the estimate has been supplied/ accepted. · If it is discovered that there has been an error in preparation, after the estimate has been supplied/ accepted. · If there are additional works required, in order to complete the project in its entirety, that were not foreseen when the initial inspection was carried out and estimate supplied. For example, if it transpires that there is asbestos present or other materials requiring specialist subcontractors. · Only estimates in writing will be firm. Any drawings or plans provided with an estimate are given as a demonstrative tool to provide a visual representation of our ideas and in no way represent any part of a contract. When a customer accepts an estimate, it is assumed that they have the necessary permissions/ access for the company to carry out the work. If the company suffers any losses or penalties as a result of not having the necessary permissions, the customer will reimburse any and all of these charges. All defects of workmanship must be reported to the company as soon as is reasonably possible and will be covered by the company’s workmanship warranty for 12 months. This warranty will only apply to work carried out and completed by the company that has been paid for in full. The customer must also allow the company reasonable time for inspection and repair. The Customer accepts that if he fails to notify the Company as aforesaid then the Company shall not be liable in respect of any defects in the works carried out. If an inspection takes place and it becomes apparent that the defect is not the fault or responsibility of the Company, and is not as a result of our workmanship, the Company reserves the right to reasonably charge for the inspection and any works they are asked to carry out as remedial works, as per their standard charges. (b) Repaired, modified or tampered with by anyone other than a Company operative. The Company will accept no liability for, or guarantee suitability of; materials supplied by the Customer & will accept no liability for any consequential damage or fault. The company shall not be held liable or responsible for any damage or defect resulting from work not fully guaranteed or where recommended work has not been carried out. Work will not carry a guarantee where the customer has been notified by the operative either verbally or indicated in ticked boxes or in Comments/Recommendations of any other related work which requires attention. It is the responsibility of the customer to ensure all furniture, fixings and fittings are protected before the engineer attends. It is also the responsibility of the customer to ensure safe and sufficient access to the area in which the engineer will work. The company accept no responsibility for any accidental damages caused to furniture, furnishings fixings or fittings, should an engineer need to move them to access the area in which he has been asked to work. · Liability for Personal injury or death resulting in the company’s negligence when on site. · Reasonable and fair costs to repair any damages caused to customers property, should this be as a result of the company’s negligence. · The company will not be held responsible for any damages or loss that occurs as a result of pre-existing defects or weaknesses within the property. If damage to brickwork or plaster is caused as a direct result of works carried out, it will be the company’s responsibility to make good. However, we cannot accept responsibility for any damage to wall coverings, tiles, carpets or other furnishings & Furniture as a result. · The company will not be held responsible or liable for any damage caused as a result of investigative work or repairs carried out whilst on-site. This includes, but is not limited to, any damages caused by the removal of tiles and tiling, all floor coverings, internal and external walls and their respective coverings, bathroom suites, panels and furniture, Ceilings and adjacent pipework. The company will not be held liable for being unable to carry out the work contracted to them by the customer, due to forces beyond their reasonable control. The company cannot be held liable for any frozen pipes, damage caused by frozen pipes, or the removal of any blockages or subsequent damage bought on by frozen pipes. years old at that date no warranty is given in respect of such works & the Company accepts no liability in respect of the effectiveness of such works or otherwise. 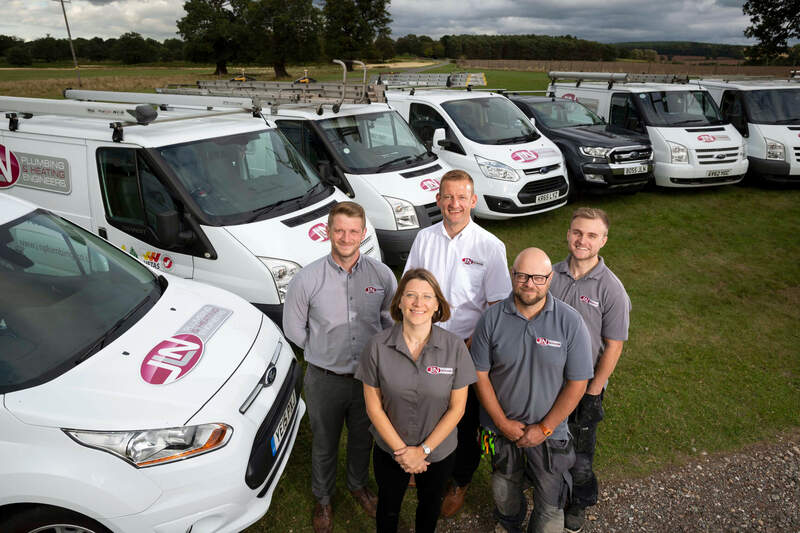 The company is not liable for any loss, damage or subsequent repair of any existing pipework, fittings or appliances that are connected to the system to which we are attending, but which we do not directly work on. For example, existing radiators and pipework where a new boiler has been installed. The company will not guarantee any works carried out by agencies under their instruction and will be covered by their respective guarantees only. All Gas Safe engineers operate under their own Gas Safe registration, and as such are solely responsible for any gas related works, and any subsequent liability. The company is not liable for any such matters. No engineer/technician or other member of staff will enter a property where there are minors present, but no persons over the age of 18. Should there be adults present when the member of staff enters the property, but the situation changes and for any reason, they are to leave the minor in the property alone, the member of staff will also leave at the same time. This Website and its contents including all graphics, Logos and other intellectual property remain property of the company and must not be copied, distributed or used in any manner other than is intended, without specific prior permission. Under the above regulations you have a right to cancel your contract during a period of 14 calendar days from the day this notice is sent or given to you. During that period, if you choose to cancel the contract, any money paid by you will be refunded. If you wish to cancel the contract you must do so in writing and deliver personally or send (which may be electronic mail or post) this to the person named on the original ‘Work Start Authorisation’ notice. We have a form available on the reverse of the ‘Work Start Authorisation’ which you can use if you want to, but you don’t have to.